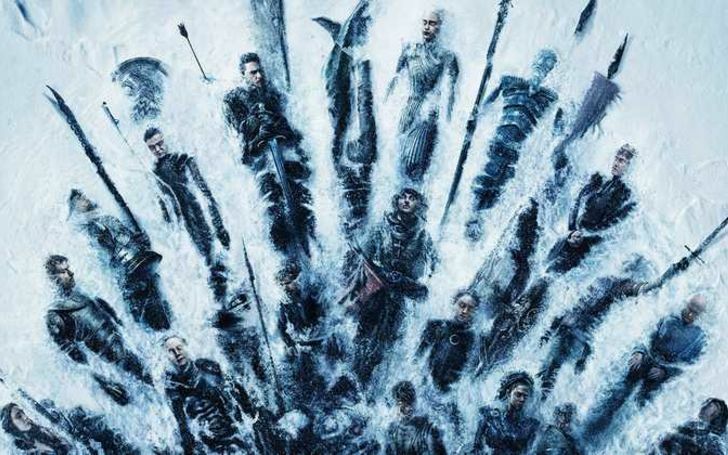 The new season of the Game of Thrones is upon us and there are hundreds of theories going around, including, Night King and his army will succumb all of the living. The HBO series has so far released three teasers and die-hard fans have already deduced all the possible outcomes from the upcoming fictional franchise. Well, many of theories concur with the teasers, one, in particular, caught the eyes of many. We're sure many of you might've already watched the latest teaser titled 'Aftermath.' As much we'd like to stay optimistic about the ending, the makers of the serious seem to be preparing yet another sadistic killing spree like the 'Red Wedding,' for the fans. Check out the teaser, Aftermath, if you haven't already! You can see in the teaser, Winterfell is in ruins, probably the aftermath of the war, and lots of our beloved character's weapons or objects are all over the place. It looked as if though there had been a devastating war which led destruction of such scale. In one side, you can see the Three-Eyed-Raven or Bran's broken wheelchair and then on another side, Jon Snow and Arya Stark's swords( Longclaw and Needle) buried in the snow. But wait, the video's not the only thing looking so eerily ominous as the poster that came with it takes the cake. 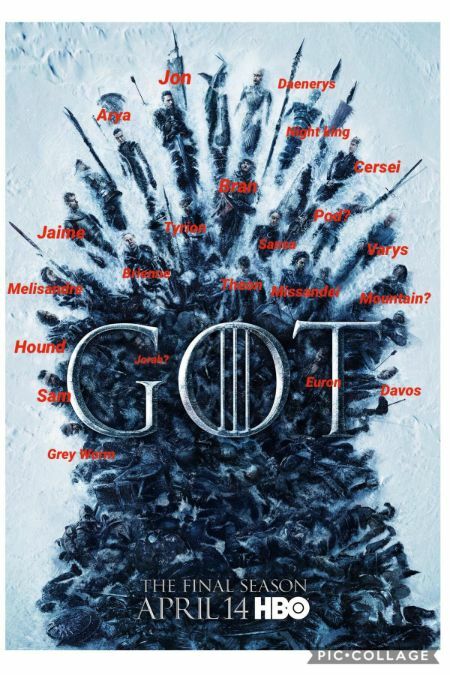 The poster, shot from above, shows all the titular as well as supporting characters engulfed by snow, and for your surprise, yes, the good ol' Night King is also lying in between Daenerys and Cersei. A Reddit user Jnemo412 pointed out all the people in the poster. Before y'all jump into conclusion, we can tell there's something missing from the big poster. As well all know, Cersei has that prophecy hovering around her head, whereas Lord Varys is also told that he'll die in Westeros, and both of them lies in the left so maybe the theory might've some holes in it. What are your guesses guys? Who'd you think will really die?